Comments: Small, narrow leaves are a soft blue-gray. 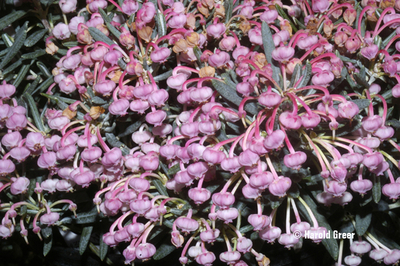 Tiny pink urn-shaped flowers cover this plant each spring. A choice rock garden plant.